I love recipes that can be adapted and enhanced to everyone’s preference and taste and dietary needs. I also really love good food that is easy but delicious, quick but rich, and can be used as a snack or part of a meal. You know, a recipe that actually works for everyone. 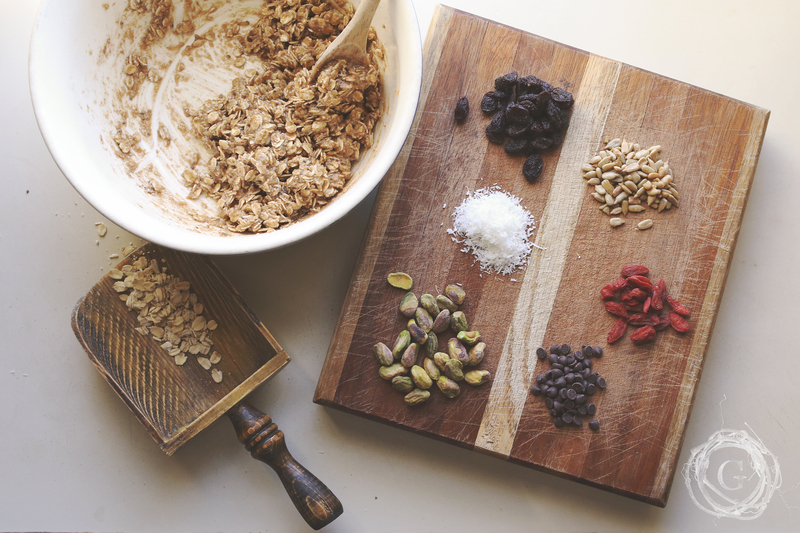 This granola bar recipe is one such treasure. 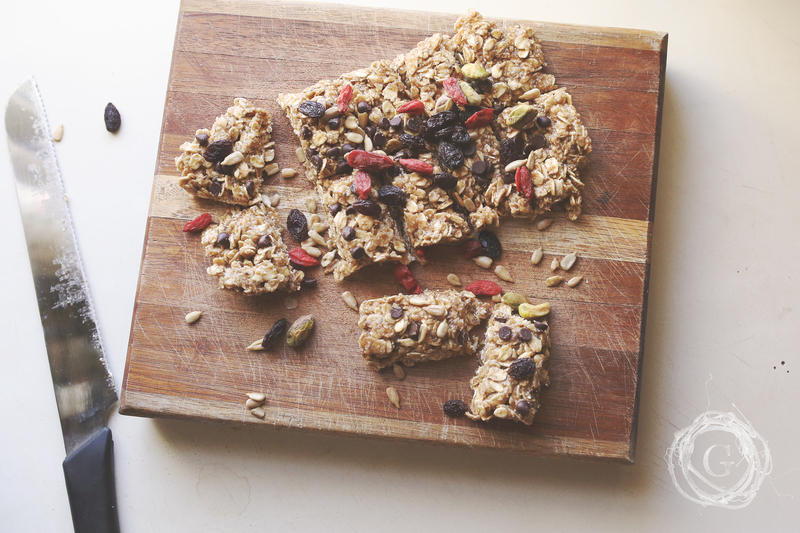 grown up approved Granola Bar Recipe”! ** Tip for those who have never used our recipes before. We think in making the most of what we have. We also really want to make sure our recipes work for a broad audience. With that in mind, you will notice that we work in Foundation Ingredients and then Extras. Those extra’s enhance flavor and texture and the overall experience and love of your food. However, we really don’t want you going out and buying a full bag of chia seeds, using a tablespoon and then the rest goes to waste because you keep it in your cupboard and forget it is there. So…our recipes are fully intact with the most basic foundation pieces. But add on! Use more. Be creative! We have included some of our own ideas of what to add to your recipe, but we have confidence that you love food and an open mind and kitchen, so get wild and share with us what you did with the recipe to enhance it and make it your own work of art! You can read more about our Foundation Philosophy here! Now that you have your basic Granola recipe, here is a fun list of all the nuts and dried fruit and flavors you can add to it. Mix and match to your heart’s content, but keep the overall total to about ¼ -⅓ cup. Otherwise the ratio becomes too much. HOWEVER… you could probably smash some of these fun bits ON TOP instead of mixing them in, which then you can add as many as you want! Think of it as frosting! 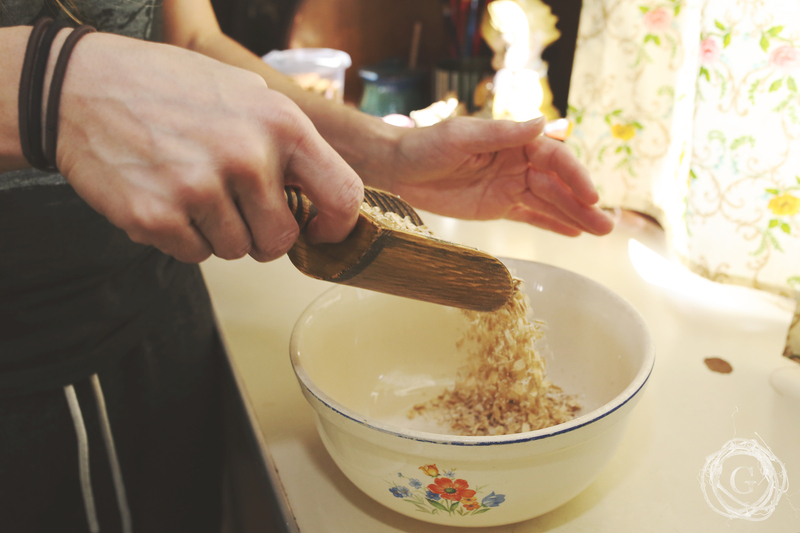 Mix your dry ingredients and wet ingredients in a bowl. Press Add In’s on top if you didn’t mix them in. Place in refrigerator for 10-20 min to harden. Pull out and cut into desired amount. I usually do 8 bars. One long cut down the middle and then 3 cuts widthwise. Remember, these are great for picnics, lunches, on the go snacks, school lunches, long meetings, brunches, breakfasts, late night snack. You can pack it full of protein to fill your belly and give yourself energy for hours. I eat mine around 3pm when I dog tired and ready to hang up my day. These lift me out of my funk and give me the energy I need to make my evening great.